​Sponsorship Package information will be available shortly. If interested in becoming a Sponsor, which includes several exclusive perks, feel free to email us at the link at the bottom of each page. Standard tickets include an invitation to our opening cocktail hour with hors d'oeuvres, the opportunity for over 10 whisky-dates, with dinner and dessert breaks built in, and our standard Glencairn glass. This year there will again be the option for standard ticket holders to purchase cigar hour tickets, and have a chance to sit outside and enjoy outstanding cigars and amazing whiskies. VIP tickets include an invitation to our opening cocktail hour with hors d'oeuvres, though VIPs will leave a little early after the opening toast to go on their first of over 13 possible whisky-dates, several of which will include exclusive VIP pours. Dinner and dessert breaks are again built in, with premium VIP meal offerings to be found in our VIP seating areas. Cigar lovers will have the option to spend an hour enjoying cigar and whisky pairings in our outside cigar lounge. 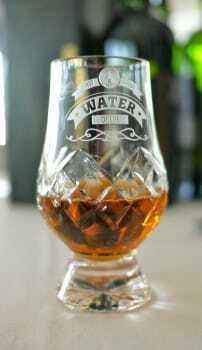 And of course you will be able to enjoy your drams all night in your exclusive VIP cut crystal Glencairn. Ticket price includes 1 raffle ticket. The Ultra-VIP ticket is your key to two nights in whisky heaven. This year forty lucky individuals will be able to purchase these tickets, which includes our opening Ultra-event Wednesday May 2, where the invited ambassadors will visit with you for 10 minutes at a time pouring drams worthy of the Ultra-VIP moniker, several being poured for their first time, or even exclusively, at our event. You will also get early access to Bath House Studios, with invitations to our opening master classes, and throughout the evening you will be enjoying VIP pours at the tables of your choosing (selected in advance). There may even be some surprise tables exclusive to our Ultra VIP. And of course you are welcome to spend time outside enjoying cigars and special drams. 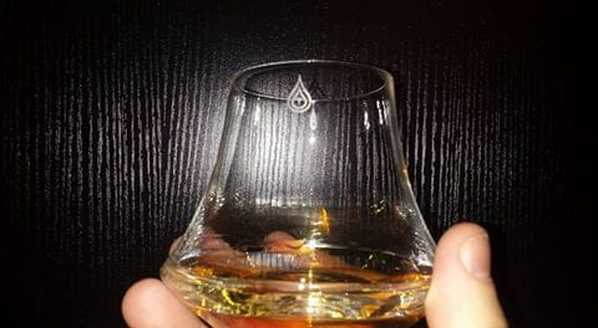 Not only will you receive the standard glass and the exclusive cut crystal VIP Glencairn, but there will be additional hand blown Ultra-VIP items made just for you. A memorable two nights indeed. NEW for 2018 - Single and Loving It! ​Select this if you would like to guarantee a stop at mostly the American Whiskey Tables, to try a large assortment of Bourbons, Ryes and all sorts of American Whiskey. Please note you will still be able to enjoy all types of Whisky from around the globe at the event, but by selecting this you will have a dedicated portion of your evening devoted to 'dating' our local spirits. ​Although many may feel that Manhattan is the world's greatest island, as a special treat at Water of Life 2018 you will again be able to enjoy a more western version of Feis Ile. Select this option if you would like to guarantee your whisky dates include drams from Jura, Mull, Orkney, Skye, and every distillery in operation on Islay! A truly special journey on this special night. And no ferry pass required.